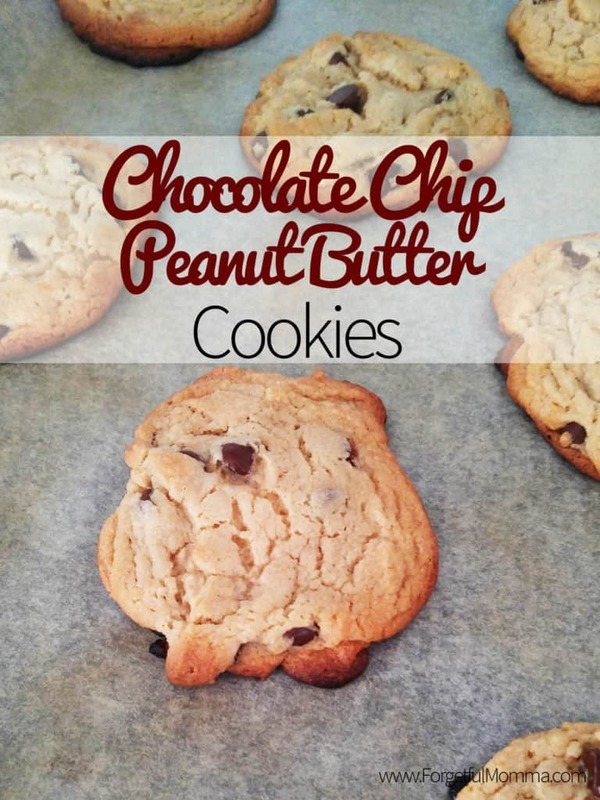 I love peanut butter cookies, throwing in a cup of chocolate chip seemed like a good ideas. I can’t make cookies very well, because I always forget that they are going to continue to cook for a few minutes after they come out of the oven. This usually equals burnt cookies. But these ones, while a little crispy around the edges, they were delicious! 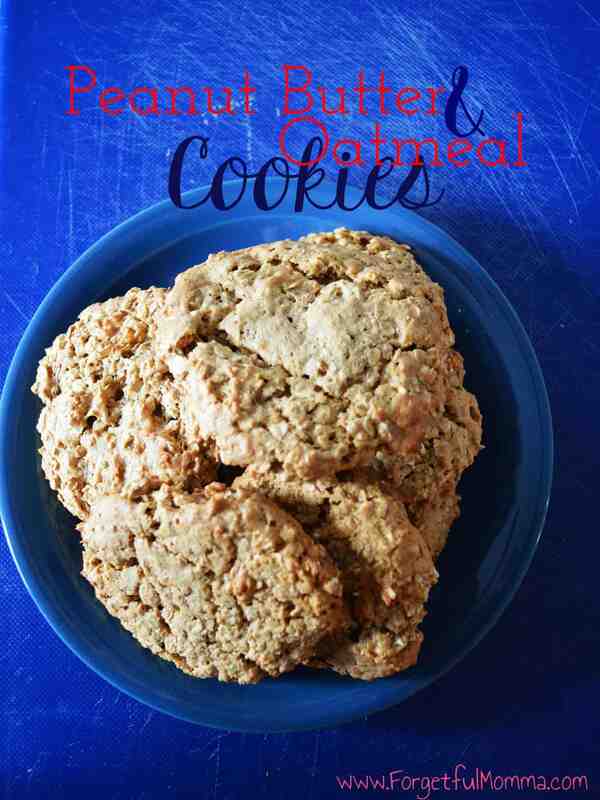 These are delicious cookies… easy to make too if I can make them, and if you actually know how to use a timer (unlike me, I forget to set it), and you can tell when cookies need to come out of the oven, you’re set! Mix together the eggs and butter until fluffy. Add in your sugars and mix well. 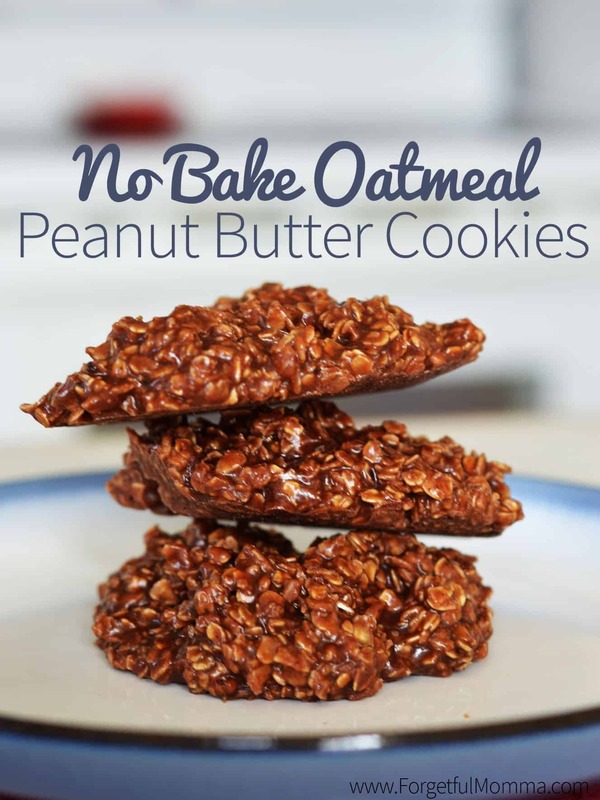 Add in the rest of the ingredients – minus the chocolate chips and mix. Fold in your chocolate chip, my recipe calls for 2 cups, but next time I’ll go with less because I love peanut butter cookies so much. Now you can use a mixer for this… my mixer bowl was in the dishwasher. My dishwasher is not reliable lately, so I just did this by hand. I like big cookies, I placed just 6 per cookie sheet to avoid them spreading together. 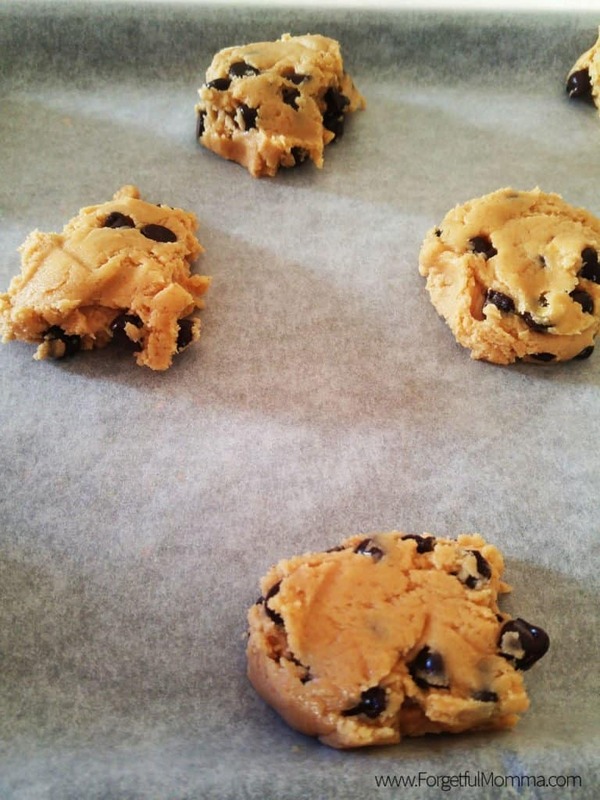 Bake cookies in a preheated oven at 375 for 8 minutes. Longer than 8 minutes and my cookies were well done. Less done, and they were a bit more chewy. Mix together the eggs and butter until fluffy. Add in your sugars and mix well. 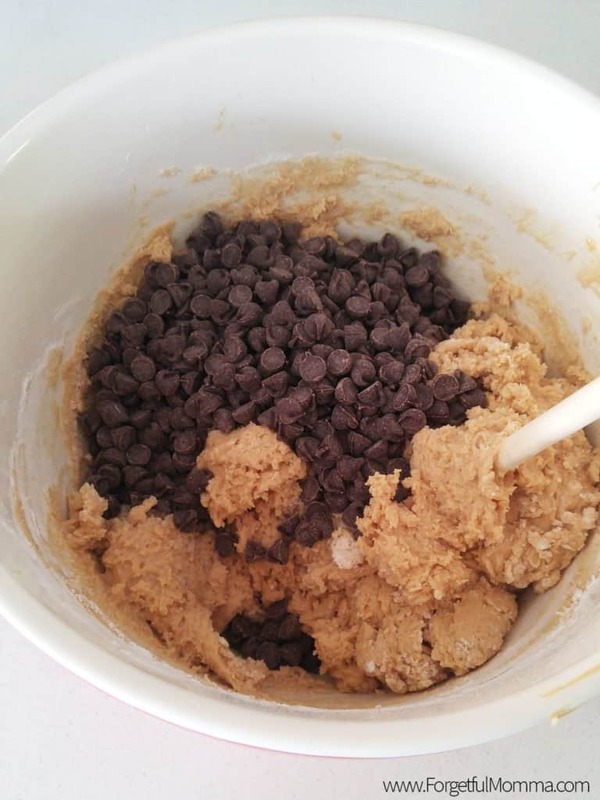 Add in the rest of the ingredients - minus the chocolate chips and mix. Now you can use a mixer for this... my mixer bowl was in the dishwasher. My dishwasher is not reliable lately, so I just did this by hand. Thank you for hosting again. I look forward to your party every week. Have a great day! Chocolate and peanut butter is the most delicious combination!